Browse our listings for Playa del Carmen Real Estate, Riviera Maya, Playacar Real Estate, Puerto Aventuras, Puerto Morelos, Playa Paraiso, Akumal, Tulum, Yucatan, Cozumel, and more! Judi Shaw and her team ensure your real estate transaction is secure and enjoyable, whether you’re buying real estate in Riviera Maya, Playa del Carmen Real Estate, or selling property and land in Mexico, or want to buy a vacation home in Playa del Carmen or if you want to retire in Mexico, we are here to work with you all the way. Where do you want to buy a house or condo? We can show you properties in Riviera Maya, Playa del Carmen, Playacar, Puerto Morelos, Playa Paraiso, Puerto Aventuras, Akumal, Tulum, Yucatan, Cozumel. Buying a Home or Condo in Mexico? There are some gorgeous spots to buy Mexico real estate. If you want to buy Playa del Carmen beachfront property, a vacation home or an income earning property Playa del Carmen, or if you are interested in Playa del Carmen condos for sale, we will represent you on any type of real estate in Playa del Carmen, Riviera Maya. 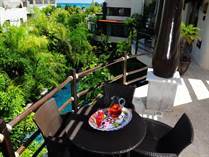 We offer MLS Playa del Carmen services. We have many Riviera Maya beachfront houses for sale, or consider buying a Playa del Carmen beachfront condo or a Playa del Carmen condo. 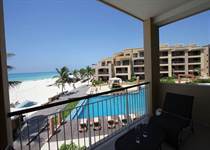 Other properties are available to buy Playacar, Tulum, investment property Akumal. 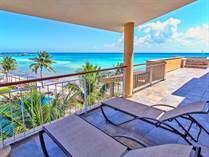 Cozumel real estate offers some great value especially when you want to buy a beachfront condo Cozumel. Look at our very luxury homes in Riviera Maya for sale. Whether you’re interested in MLS Riviera Maya info or have another area in mind, feel free to browse MLS for Riviera Maya Listings, use helpful calculators, do a custom home search, learn about new construction in the Riviera Maya, Playa del Carmen, Puerto Aventuras, Akumal, Tulum, Riviera Maya real estate, or Cozumel Real Estate area, browse through homes for sale or condos for Sale right here. Finding the right real estate agent can help you simplify your search, saving you time and frustration and potentially costly mistakes. Judi Shaw and her team will act as your eyes and ears on the ground, uncovering all properties that fit location, amenities, and price tier. Living Riviera Maya will show you how to buy real estate Mexico. Call or email today to get started. Selling Real Estate in Mexico? Selling a property in Riviera Maya, Playa del Carmen, Playacar, Puerto Morelos, Puerto Aventuras, Akumal, Tulum? Judi Shaw will show you a market analysis for your area and a unique outstanding marketing plan, to help you get your listing seen by interested and qualified buyers, to get a “SOLD” sign on that property as quickly as possible. Want personal service? Contact Judi Shaw at 1-800-441-3275 or 521-984-114-3251 Mexico cell; check out Meet Judi to learn more about the team’s expertise, or Contact Judi by email to talk about buying real estate Playa del Carmen Mexico.